What a visual! 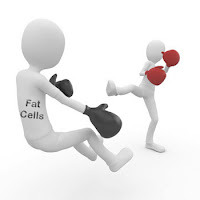 Imagine the mighty diet smashing body fat to smithereens! According to Dr. Ian Smith, his Fat Smash Diet is a 90-day roadmap to kicking those bad habits and replacing them with a healthier lifestyle. All without counting calories! Dr. Smith first achieved fame as a judge on the VH1 television program Celebrity Fit Club. He developed a diet plan for celebrities who wanted to lose weight quickly. The result: the Fat Smash Diet book. The fat smash diet works by changing your outlook on eating and exercise. Over the span of 90 days you change your relationship with food and your approach to fitness. 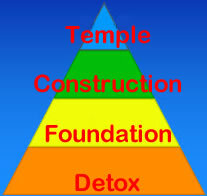 Dr. Smith uses a pyramid metaphor to describe your progression toward your end goal: a healthy life. Before you begin, Dr. Smith encourages you to record your present weight and BMI and take an illustrative picture of yourself. This will serve as motivation and provide a baseline for measuring your progress throughout the diet. Phase one is the detox stage. During this nine day period, you eliminate body impurities and prepare your body for a new eating style. Phase one is pretty much a vegetarian diet. During this phase you are allowed to eat fresh fruits, fresh vegetables (except potatoes and avocados), fresh-squeezed fruit juices, oatmeal or grits, egg whites, brown rice and unsweetened green tea and water. You can't eat fast food, desserts, meat, bread, cheese, nuts or fried foods. You can't drink alcohol, coffee or sodas. During this phase you should do 30 minutes of aerobic exercise five times a week and take an after-dinner walk. Phase two is called the foundation. This phase adds some foods, like lean meat, cereal, whole eggs, cheese and peanut butter. Some limited sugar and salt are also permitted. Your exercise period increases to 35 minutes, five times a week. Phase 2 lasts for three weeks. Phase three is the construction phase. During these four weeks, you eat four meals, with even more protein and whole grains in your diet. Your exercise increases, too. Dr. Smith suggests 45 minutes of exercise, five times a week. For better results, he suggests breaking the 45 minutes into a morning and an afternoon intervals. This takes advantage of your increased metabolism after exercising, burning even more fat. During phase three, Dr. Smith recommends that you follow phase one rules for at least one day a week. By the end of phase three you should be at your target weight. If not, you cycle back to phase one and start again. You can do this over and over, until you reach your target weight (or adjust your target). Phase four is called the temple. This is your maintenance plan for life. You are allowed pretty much any kind of food, but in moderation. He even permits three glasses of wine or beer in your weekly allocation. My kind of guy! Your exercise regimen increases to an hour a day, five days a week. Dr. Smith also recommends adding anaerobic exercise to further eliminate fat cells and build endurance. The Fat Smash Diet is a pretty extreme approach to weight loss. The eating restrictions, especially during phase one, are extreme and don't provide many of the nutrients critical to good health. Once you progress to phase three it is possible to have a healthy and balanced diet. Who knows, if it works for Hollywood celebrities, why won't it work for you?